Backdropped by the Dolomites and Italian Alps, Italy’s South Tyrol—also known as Alto Adige—is a must-visit for travelers who love the outdoors. In winter, South Tyrol is ideal for skiing and snowboarding; in the summer, it’s perfect for those who love hiking and biking. But you don’t have to be sporty to fall in love with South Tyrol! Dotted with charming towns, boasting breathtaking scenery, and renowned for its wines, this off-the-beaten-path region bursts with fascinating places to discover—even for non-athletes. Want to head to South Tyrol? Here’s a guide to help you plan your trip, including where South Tyrol is located, how to get there and around (even without a car! ), which local foods and wines to try, and some of Alto Adige’s must-see sights and must-do activities. Where is Alto Adige (or South Tyrol)? 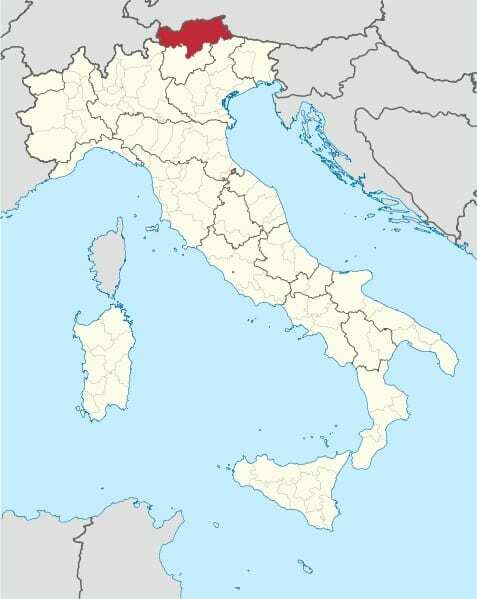 South Tyrol is situated in the northernmost part of Italy. The northernmost region in Italy, Alto Adige (meaning “Upper Adige,” and named after the river that runs through it) borders Switzerland and Austria. It’s also known as Sudtirol, or “South Tyrol,” thanks to its location in the southernmost part of Austria. One of the two regions making up Trentino-Alto Adige, Alto Adige was part of Austria until the end of the World War I. A predominantly German-speaking region, it has signs in German, Italian and in a language called Ladin, spoken by about 30,000 of the residents. South Tyrol is divided into eight different districts. Bolzano (in German, “Bozen”) is the capital and largest town. How can I get to South Tyrol? Alto Adige’s only airport is outside of Bolzano, and serves only domestic flights. Daily flights run from Rome to Bolzano. The nearest international airport is in Verona, situated 90 miles (150km) from Bolzano. From Verona’s Villafranca airport, a bus runs every 20 minutes to the main train station in Verona (Porta Nuova), and from there, you can catch the train to Bolzano. Alternatively, there are direct bus transfers to Bolzano and other South Tyrolean towns from the airports at Milan Malpensa, Bergamo, and Verona. These transfers must be booked at least 48 hours ahead of time, and prices start at €44, one-way. More details here. Traveling by train isn’t just one of the best ways to get around Italy, but it’s affordable, too. (Don’t miss our post on how to travel Italy by train!). As the Italian rail network connects most major cities, this is probably the best way to get to Alto Adige. From Verona, it’s only a 90-minute train ride to Bolzano; there are also direct trains from Rome and Florence (Campo di Marte). From Milan or Venice, you’ll need to switch trains in Verona, but it’s still a relatively easy trip. How can I get around South Tyrol? Getting around the region by public transport is easier than you might think, thanks to the Mobilcard and Bikemobil cards. It’s easier than you might think, even without a car! The region has a very well-organized public transport system . The Mobilcard, valid for one, three or seven days at the price of €15, €23, or €28 respectively, gives you access to all the region’s public transport, including the buses, regional trains (along four separate lines), and ccable cars. Tickets can be purchased at tourist offices, hotels and automatic ticket machines in railway stations. Another great way to travel around Alto Adige? By bicycle! The region offers the Bikemobil card, which gives you unlimited access to South Tyrol’s integrated transport system, as mentioned above, as well as the use of a rented bicycle. Similar to the Mobilcard, you can purchase one for either one, three or seven days. More details available on the official website. Where can I stay in South Tyrol? From luxury hotels to apartment rentals, there’s a huge range of accommodation in South Tyrol. However, we’re all for staying in an agriturismo, or “farm-stay” (here’s everything to know about staying in an agriturismo!). Staying at an agriturismo in South Tyrol won’t just give you an authentic experience, but will let you experience the region’s unspoiled countryside. Check out the Red Rooster website to sort through a wide variety of farm-stays, ranging from family-friendly to organic farms. What should I eat in South Tyrol? Thanks to Alto Adige’s Austrian heritage, the cuisine in South Tyrol is distinctly different from the other regions in Italy. White cabbage, potatoes, and bread show up often, as does the flavorful cured and smoked pork—called speck—that’s labeled IGP, denoting its geographical origins. (Find out exactly what IGP and DOP foods really are!). 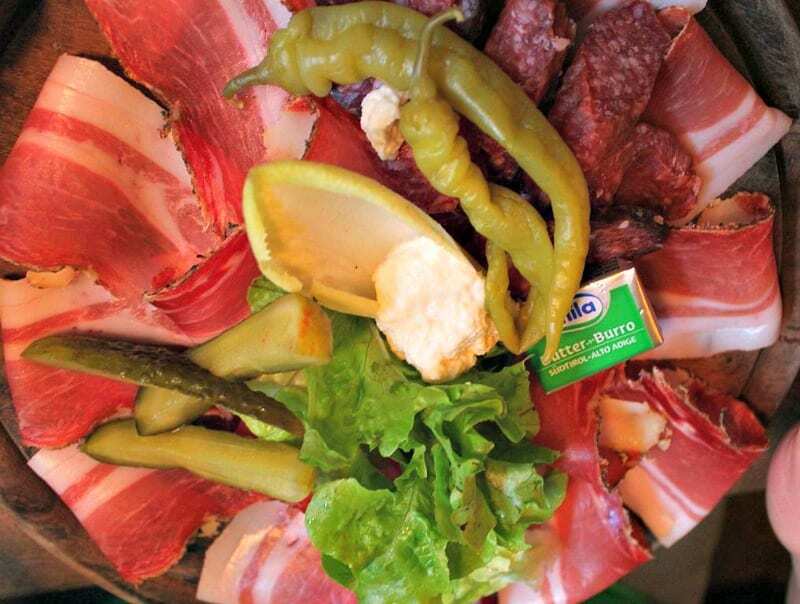 Every year, there is a lively speck festival held in Santa Maddalena, a small town in Val di Funes; the festival features a farmer’s market, local artisanal products, freshly baked local breads, music, and of course, tastings of speck. It’s usually in early October, so check before you go. One typical dish in Alto Adige that uses speck: canederli, bread dumplings made with leftover bread and, sometimes, cheese. 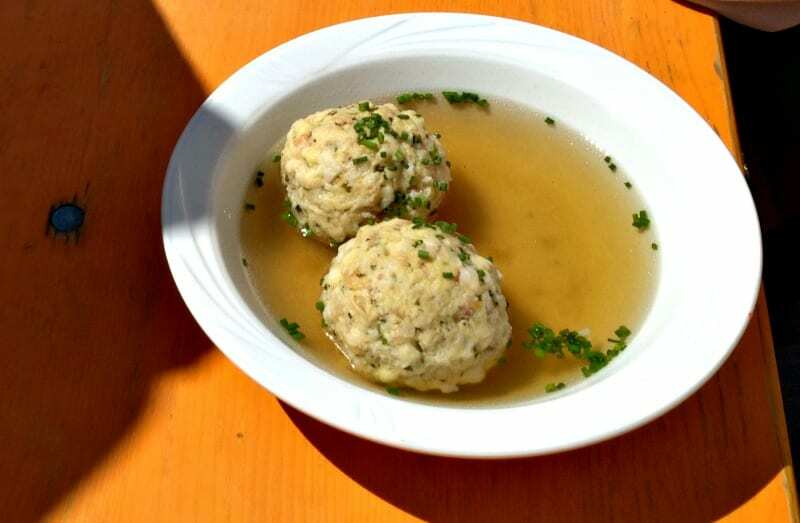 Canederli can either be served in a broth or with melted butter and grated cheese. As you drive through Alto Adige, you’ll notice (aside from the mountains!) endless stretches of apple orchards, usually ripe for picking at the end of September and early October. So make sure you taste apple juice and the indulgent apple strudel, a sweet way to end a South Tyrolean meal! What wines should I look for in South Tyrol? Alto Adige is renowned for exceptional wines, including the white varieties of Riesling, Müller Thurgau, and Sylvaner and the reds Vernatsch and Pinot Nero. Want to taste some of the best local wines? Check out what’s considered to be one of Italy’s top wine routes, the Sudtirol Weinstrasse (or “Wine Road”). Situated in the valley of the River Adige, the route starts northwest of Bolzano and heads south to the town of Salorno. Each May and June, the villages along the route hold various wine-related events, culminating with a night of open cellars. 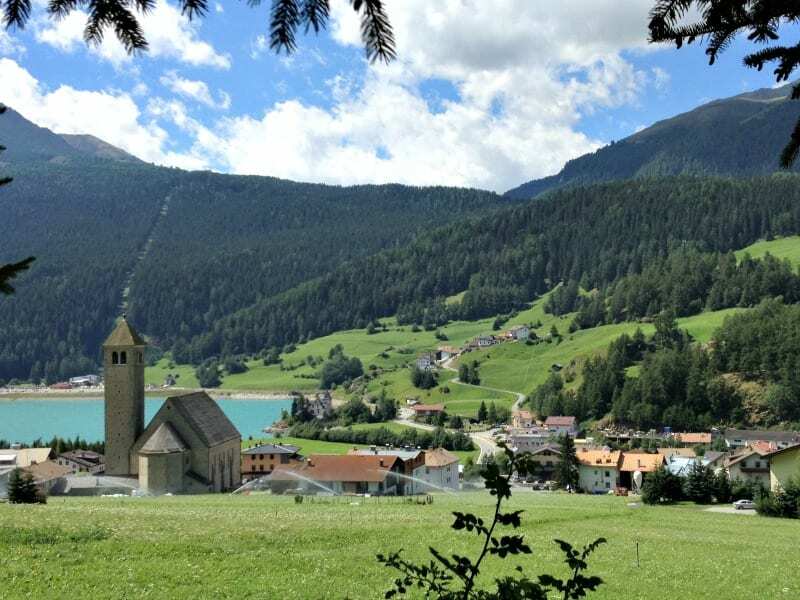 What is there to do in Alto Adige? South Tyrol is a paradise for those who love nature, outdoor activities and, of course, to #takewalks! With more than 8,000 miles (13,000km) of trails, it has a hiking route for everyone—regardless of ability. And with summer’s mild weather and striking views, all you need are some decent walking shoes to enjoy the region’s best offerings. Biking is another popular activity, and the region has numerous routes to choose from. Wine-lovers can even cycle the South Tyrol Wine Road (here are three different route options!). Whether you’re a beginner or a pro, there’s a ski slope for you in South Tyrol. Those looking for some extreme slopes should check out Saslong (Gröden), an exhilarating challenge with a 57 percent gradient; Pordoischarte (Dolomites) thrills with a spectacular, steep descent. As the holidays approach, don’t miss the Christmas markets in Bolzano, Brunico, Merano,and Vipiteno. With the scent of balsam, lit-up Christmas decorations, and stall after stall selling vin brûlée and handicrafts, the markets make the festive season even more magical. What sights should I see in South Tyrol? There are so many gorgeous sights in South Tyrol, we can’t name them all in one post. But here are four of our favorite spots to help you get started. The 1950 creation of the artificial Lake Resia submerged the entire town of Graun. Today, the only evidence left is the striking church steeple emerging from the lake. 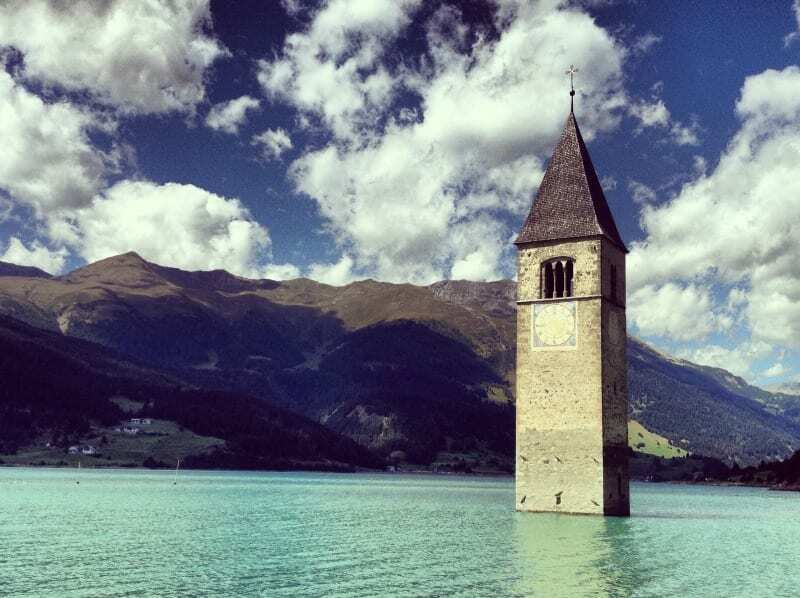 The haunting scene makes Lake Resia a popular attraction in Val Venosta (Vinschgau). In summer, it’s also great for kitesurfing. The drive up Stelvio Pass, built from 1802 to 1825 by the Austrian empire, isn’t for the faint-hearted! With its 48 hairpin turns, Stelvio pass is one of the world’s most dangerous roads. It’s also one of the highest paved routes in Europe, clocking in at 9,000 feet. As you can imagine, the views from here are breathtaking! For those who love a challenge, the Stelvio Bike Day, held annually, closes the pass to car traffic from 8am to 4pm to make it a route for bicyclists only. Situated near Merano, Tyrol Castle, formerly the home of the Counts of Tyrol, now is the headquarters of the South Tyrol Museum of History. Dating back to the 11th century, the castle served as the political headquarters until the 15th century; it was so important, in fact, that it gave its name, Tyrol, to the entire region. Today, its lovely courtyard, along with its intricate Romanesque portals and frescoes in the chapel, make it a must-visit. A stunning Alpine lake in the Val d’Ega, 19 miles (30km) from Bolzano, the lake’s name means “Rainbow Lake” in Ladin—thanks to its beautiful shades of colors. The small lake’s water comes solely from underground springs… and, of course, melted snow. 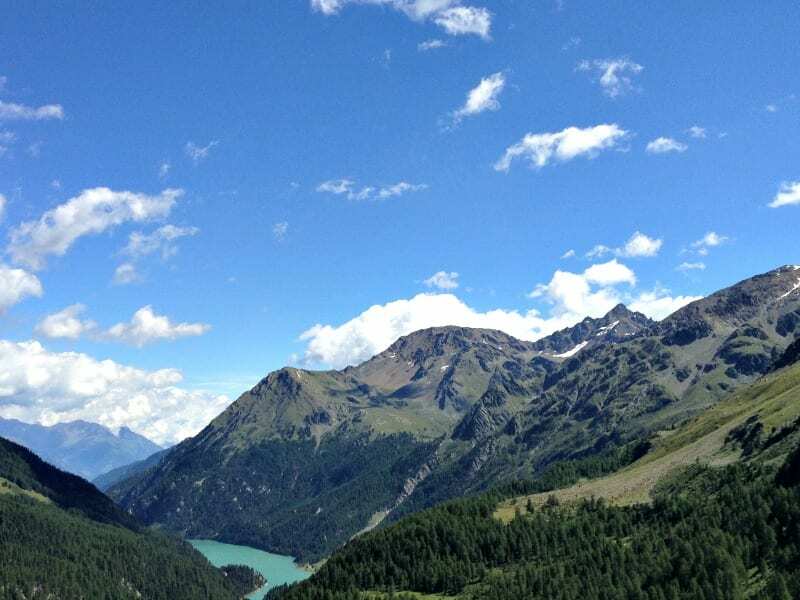 Have you been to South Tyrol? What did you think? Let us know in the comments below! Can you suggest the best way to travel from Levanto, Italy to Bolzano? It looks long and complicated from what I can see on the train sites. Ciao Patty, the easiest way is by train by reserving the direct trains from Levanto – Milan – Verona – Bolzano. This combination gives you the least amount of transfers and can save you up to 2 hours of travel. Let us know if you have any questions! 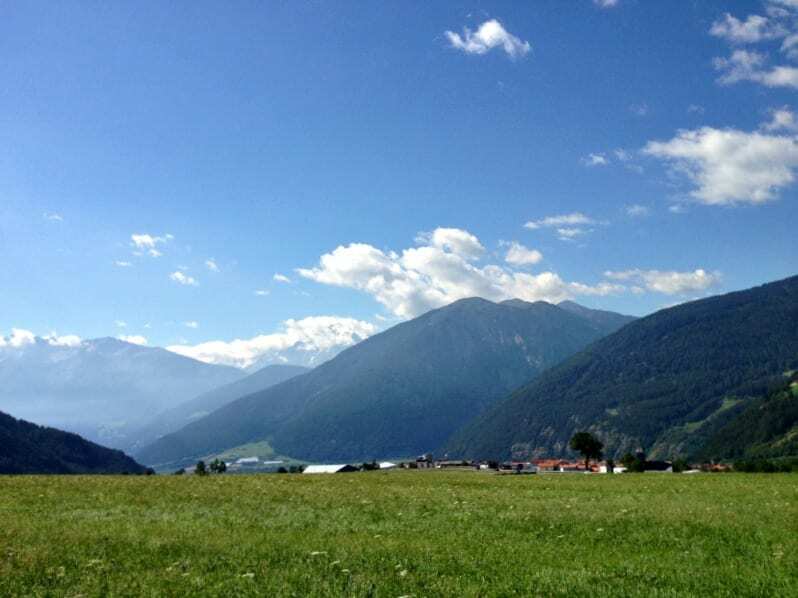 South Tyrol is simply great for recharging ones batteries and to fully recover from any desease! I never have been to a place before where the air is so clear and nature is so pure. There even are special wellness hotels in order to support the wellness and health affect of South Tyrol. At the moment I am in a sport hotel in Passiria and it’s great here! South Tyrol is just great place for winter and summer sports. Dolomiti and Sella Ronda are just best for skiing. Hey. Italy and as specially South Tyrol is a beautiful place. Those who like outdoors adventures and nature are going to feel in heaven. I usually book my hotels in Italy with Belvita, they have the best hotels in Italy when it comes to wellness hotels. And thats what I go to Italy for. Wellness! In the winter time I sometimes also combine ski holidays with wellness. It is just perfect, when you have spent a whole day in the snow and the muscles are sore from running around and skiing all day…then get a hot stone massage or go to the sauna or Jacuzzi. . I love south Tyrol so much! We always spend our ski holidays in Italy during easter. A nice hint for everyone: when you are in Southy Tyrol the next time try to spend some nights in a castle! I love that rustic feeling 🙂 We always spend some days in a wellnesshotel and the last days of vacation in a castle.